Don’t launch with a whisper; launch with a roar. Here’s why: When you’re a young company, you don’t have time to sit around and hope your brilliant idea catches on. Either you’ll run out of money. 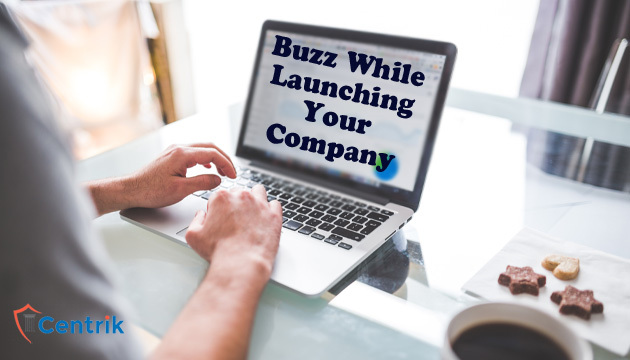 Then, your company’s success hinges on your ability to build buzz. The following strategies will help you do just that. “Launching” isn’t as simple as opening your doors and presenting yourself to the world. It’s more of a multi-step process, which is why you see so many apps going through MVP and beta iterations before presenting their formal marketing launch to the public. Our formal launch occurred after we’d hosted several dozen beta users and made changes based on their valuable feedback. That way, we were confident that the buzz we’d built wouldn’t oversell what we were actually delivering. In addition, one unexpected benefit of not launching too soon is that you can bring influencers on board early on and actually make them a part of the development process. If you’re building something revolutionary, then (and you should be, if you expect to score any serious buzz), you may see authority figures in your niche jumping at the opportunity to help turn your product into the solution they’ve been seeking. All you have to do is ask, and then treat their eventual contributions with the respect they deserve. No, I’m not talking about the Sarah McLachlan song. I’m talking about getting users excited about your upcoming marketing launch, before you roll out the red carpet and invite them in. Think about how Apple rolls out new products. What really sets them apart is they get everyone talking months before the product launches, usually before there’s even a demo for anyone to see. Offer “sneak peeks” that build excitement without giving everything away. Do this through social media messages, YouTube clips or any other medium that supports your brand. Take a page out of the high school mean girls playbook. Everyone wants to be a part of the perceived “in crowd,” and you can leverage this in your launch plan by requiring would-be users to get invites from current customers. These strategies may or may not work for your specific product; if they don’t, you’ll need to explore others to get your name out there as you build buzz for your growing company.